A survivor of Australia's mental health system reports on institutionalised abuse of basic human rights and the absence of recourse for victims in a system which perpetuates illness. AUSTRALIA HAS been in the spotlight for its failing human rights record for many years — it continues to deny the basic freedoms of minority groups, including asylum seekers and our indigenous population. What makes a society disengage with others that appear different from them? And how do we ensure that these people can safely have a voice and are heard? With one in five people likely to suffer from a mental illness at some time in their life, one might argue that this is no longer a minority group. So why are we failing so badly in understanding and treating this issue? Human rights abuses continue every day in our mental health system. It is a system with a closed-door policy that relies on repeat admissions and coerced treatment where the only form of “recovery” is a lifetime of medication. 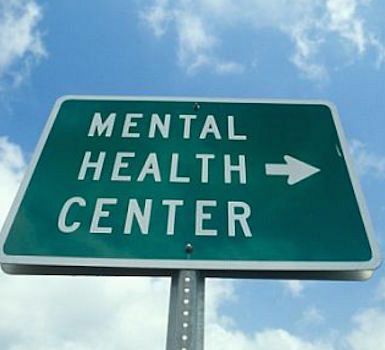 The Mental Health Act states persons can be involuntarily hospitalised if they are of harm to themselves or others. This law is flouted on a daily basis. There are many people incarcerated who are of no harm to anyone. Rather, their "crime" may be that they simply show signs of extreme stress, may come from dysfunctional families or be victims of crime themselves. In the United Nations Convention on the Rights of Persons with Disabilities there is no mention of involuntary treatment for people with mental illness. It indicates, instead, that all people should live freely without prejudice. I am one of many who have survived our mental health system. With a diagnosis thirteen years ago, I would never have predicted how much this would dictate the events of years to come in relation to my civil liberties and how it would be used against me. I – like others that have had some kind of hospitalisation – am a valued member of our community. We have children, we have jobs, we offer no harm to others, or even ourselves and we believe that in a country such as ours, we have human rights. Trust in my doctors had never been an issue — they had made sense of and helped me through some very difficult years. An involuntary hospitalisation five years ago, however, changed all that. It was a horrendous admission that saw me in so much pain I could barely walk due to the levels of medication I was given. I realised that the doctors understood little about how they were medicating me. It was no more than trial and error with a cocktail of drugs. These doctors were an elite few and they were treated like gods. Some years later, under the care of my case worker, it was decided that my life was back on track and so the decision was made to close my medical file. Close monitoring was no longer required and my care could be handed over to my local doctor. With the diagnosis of a mental illness never defining or hindering me, I continued on with my goals never thinking that my dreams would not be achieved. It was simply a matter of keeping my life in balance and looking after myself. However, to be now secure and safe in my life was a false illusion. Managing my mental health was no longer a problem – it had not been for many years – I had finally moved on with my life. Nothing could prepare me for the experience of being taken against my will — not by the police, or even an ambulance but an older sister who felt she knew best. What followed was the most violent of admissions. Totally traumatised and in shock, the sheer panic of dealing with my new reality never went away. I was manhandled, forcibly injected and held against my will for more than a month. Our mental health system survives and prospers in this repeat admission model which enables one admission to lead to a second, a third and so on — no matter how many years are in between. The absence of psychotherapy or psychosocial approaches to wellness and the reliance on a drug-based treatment system means a person is never “better” or able to leave the “system”. In any other area of medicine, there are cures to be thankful for. But it must be asked why our public health system seems only to medicate when there are many independent psychiatrists treating mental illness with psychoanalysis and other therapies? Along with the feeling of disempowerment and humiliation that involuntary hospitalisation brings, a patient said to be capable of harm is more often violated and harmed themselves. It is made all the worse since most are never believed — instead they are accused of being delusional and ungrateful. This, in itself, is a barrier to true healing since inhumane treatment leaves one feeling less than human. While some may see the psychiatric ward as a place of safety, for most it is nothing more than a prison. Vital to the healing process is the need for real relationships between doctors and their patients. Yet in my five weeks of treatment, my psychiatrist never once actually looked me straight in the eye in any of our conversations. Taking away all liberties such as phone calls and visitation rights while telling me I was too elevated, he sat there rubbing his brow, all the while looking down at the floor. I must add that I had seen my local doctor days before my admission and she remembers me being very well — at no point did the hospital psychiatrist contact her, even though I asked on numerous occasions. When I broke down in tears when I saw her after my release, she said the only way she knew anything untoward had happened was when she received my discharge papers by email. There remains a huge power imbalance, not only during hospitalisation but also when community orders dictate what medications must be taken after patients are no longer hospitalised. With failing to comply with such orders leading to further incarcerations, this is nothing more than a form of control. Most leave this system with lost dreams and lives forever watched over by the system they can never escape. This is a violation of our human rights as outlined in the UN Convention. When will there be open dialogue to enable those most harmed to have their voices heard and to create the change that our mental health system so badly requires? The real story. Subscribe to IA for just $5.